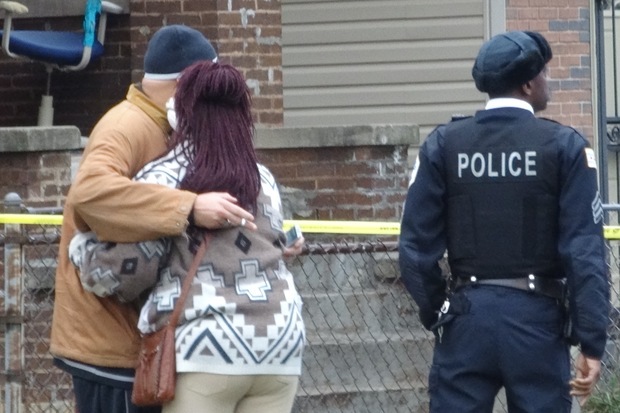 WASHINGTON HEIGHTS — Police and SWAT officers swarmed the block where a 23-year-old father was shot and wounded by police on the Far South Side Saturday afternoon. Around 1:30 p.m. there was an "officer-involved shooting" in the 1000 block of West 103rd Place. Officers were called to an "assault in progress," said Officer Michelle Tannehill, a Chicago Police Spokeswoman. Tannehill said no officers were injured and that police recovered a weapon at the scene. Later, in a statement, police said, "Upon arrival, officers observed a male subject with a gun and he was confronted by police. During that encounter, an officer discharged his service weapon striking the offender." The injured man was 23-year-old Mekel Lumpkin, according to family and neighbors on the scene. Fire officials told NBC5 that he was taken to the hospital in serious-to-critical condition, and police later said that he was in surgery. 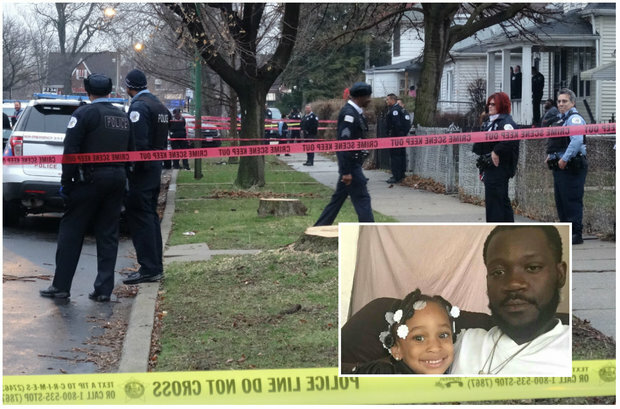 Though police source told the Tribune that two brothers had gotten into an argument and one began to shoot before officers were called to the scene, family members disputed that account, saying the brothers had a verbal argument but it had not escalated to gunfire. Dozens of police and SWAT officers were seen at the scene of the shooting late Saturday afternoon. The crowd had grown irate due to the circumstances of the shooting, which onlookers described as avoidable. "They tried to take this man's life even after he surrendered his hands. ... He surrendered," said Jasmine Jackson, 21, who lives in a nearby home. After he was shot, Lumpkin was handcuffed and lying on the ground. Nearby residents became angry and some were arrested, according to witnesses. "It's not fair and they shouldnt handle people like that," Jackson said. "Everybody was upset because the guy was shot and he was in handcuffs." The man was the third person to be shot by police Saturday. Early in the morning, police shot and killed a 19-year-old college student and a 55-year-old mother. Chief administrator of Independent Police Review Authority Sharon Fairley spoke on the scene around 4:30 p.m. about both shootings. She said, as per protocol, IPRA had sent investigators to both scenes. "At this time our focus is on collecting evidence and identifiying and interviewing all witnesses," Fairley said. She added that she could not answer any questions because IPRA needed to first conduct a "thorough and timely" investigation. "I understand that you all and all Chicagoans are anxious for answers as to what happened here. And we will provide any and all information at the apoprpriate time," Fairley said.